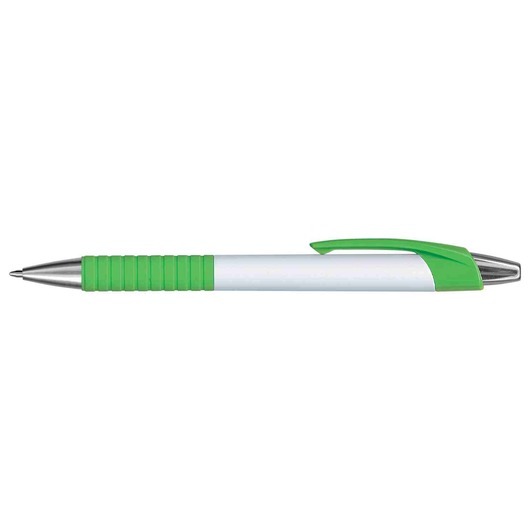 A white barreled pen with a coloured grip and shiny chrome trim. 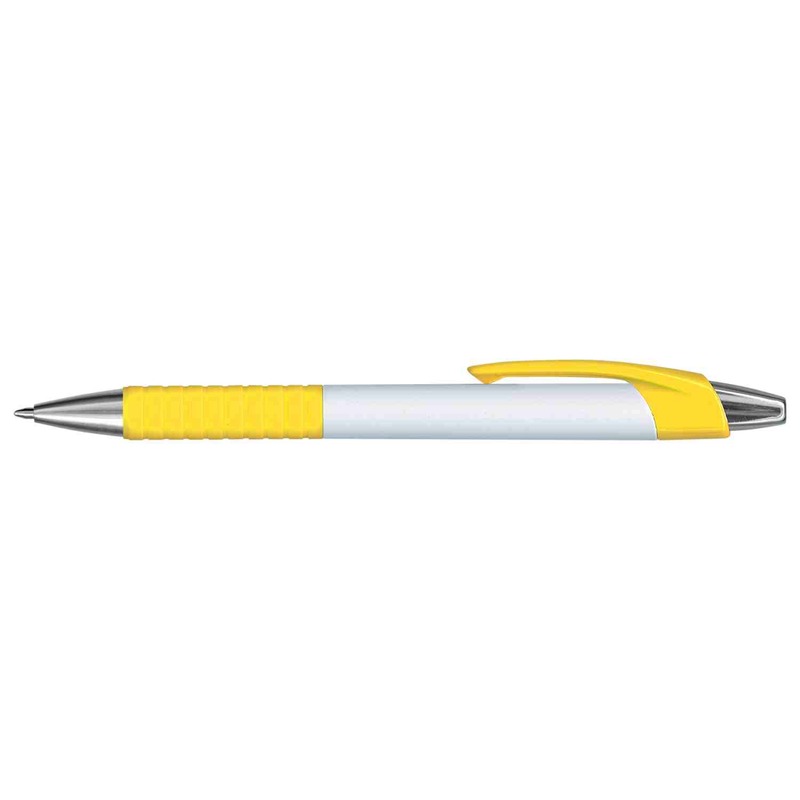 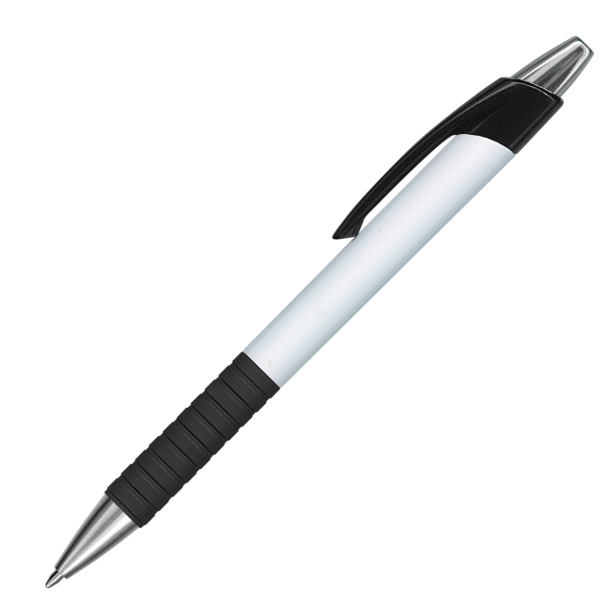 A plastic and metal pen with a white barrel and soft, comfortable rubber lacquered grip and shiny chrome trim. These pens are a great giveaway item if you have an event and can be used for nearly all promotions. 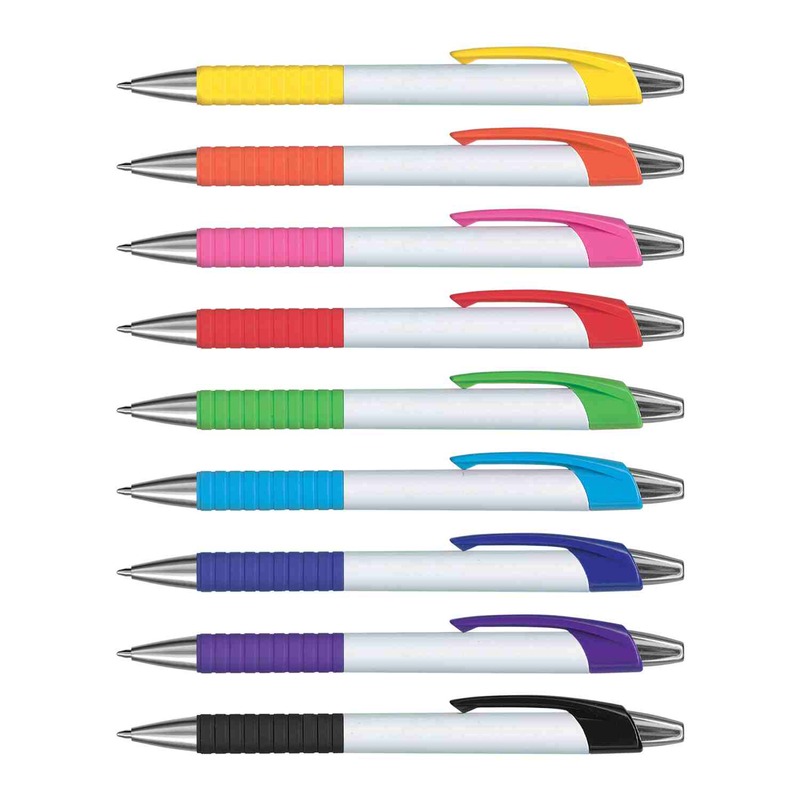 They come with 1200m of German manufactured black Dokumental ink and also house a tungsten carbide ball nib for better writing quality.